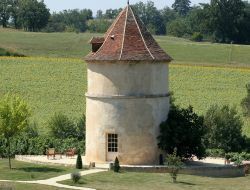 Rent of a holiday cottage in the Gers between Auch and Condom. 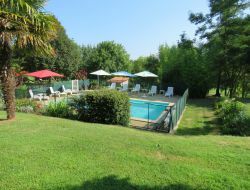 Situated to 6 km of Lectoure, in an exceptional environment (park of 8ha), holiday home of character ****, of 100m² for 4 people, with swimming pool. Rental a luxury cottages for 2 to 5 people (14 people total) on a large garden with heated pool, private fishing lake and bbq area. Holiday cottages 7km from Vic Fezensac with all shops, night markets, festivals Tempo Latino, and many things to do in the Gers. 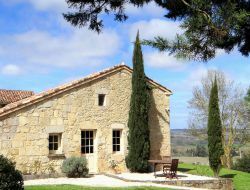 In some km from St Clar, Fleurance and Lectoure, the gite is situated at the heart of the Lomagne Gersoise, called sometimes the golden triangle of the French Tuscany. Implanted in a farm of the 18th century, this holiday cottage was completely renovated and thought to make a quiet and serene place. In the first harshness of the stone and the oak we married the sweetness of the plaster and the lime with forgotten tints and the modernity of the concrete and the pebbles. 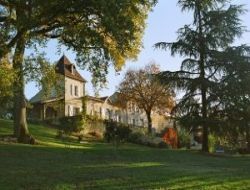 In the heart of Gascony, rent of a gite for 4 to 6 persons, classified 3 stars, situated in the South of the Gers in a natural environment. Visit of the farm, fishing on a private lake, handicaped access. 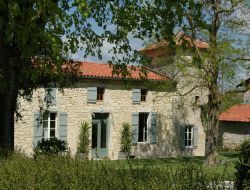 At the end of a small road, authentic farm renewed, on 2 ha of secure ground, between Toulouse and Auch. 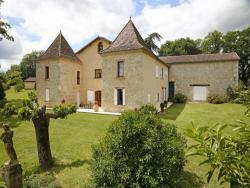 Gite with 3 big bedrooms, fitted kitchen, shaded terrace, garden, games for children... The whole in the middle of fields and cows! 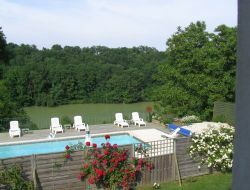 In 4km from Condom, in the heart of the French Tuscany, overhanging the valley of Osse, gite of exception for a couple. Big luxury, spa on the terrace, swimming pool. Quiet and magnificent sight. 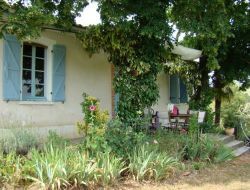 Charming cottage of 86m² for 2 to 4 people, in beautiful area at 3 km from Condom. Beautiful setting, 2 bedrooms, refined decoration. Terrace, barbecue, large private garden, English garden. 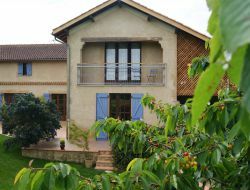 In 4 km from condom, in border of a big raised park this beautiful stone holiday home situated at the heart of the Domaine de Mirane, of the 17th century , benefits from a magnificent view on the valley of Osse and from a quiet and protected environment.